Stephanie Turner lives in Athens, Tenn., with her husband and three children. Her family and friends have labeled her a “Disney fanatic.” Stephanie and her family made their first trip to Walt Disney World when Stephanie was 10 years old. They thought it would be a once-in-a-lifetime trip… boy was that wrong! 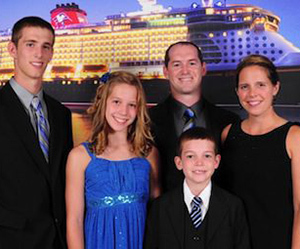 Stephanie and her family (ranging from a few months old to 77) have gone back many times since then and have taken numerous Disney cruises as well. Her newest adventure is running the Disney Princess half marathon. Let’s get started now planning your family’s next magical vacation! Call Stephanie at (423) 506-6569 or email at sturner@smallworldbigfun.com.